Missing from our coverage of Wednesday's Grammy nominations is some news that deserves more than a footnote. 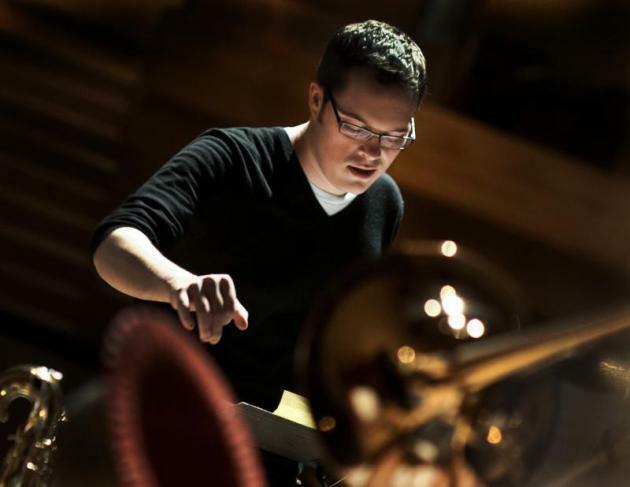 Ryan Truesdell, a Wisconsin native and 2002 graduate of the University of Minnesota's music program, spent the past few years working on a project that is now one of the finest jazz records of the year, "Centennial: Newly Discovered Works of Gil Evans." The Grammy nominators, who are notorious for coming up with some real head-scratchers, got this one right at least: "Centennial" came away Wednesday with three nominations, including Best Large Jazz Ensemble for the album as a whole, and two for individual arrangements by Evans. In a sense, Truesdell is following in the footsteps of one of his mentors, Minnesota-bred composer Maria Schneider, who got her start in New York as an apprentice to Evans, the inventive, evanescent composer/arranger best remembered now for his work with Miles Davis on such albums as "Sketches of Spain" and "Miles Ahead." Truesdell was a key player in Schneider's Grammy-winning albums "Concert in the Garden" and "Sky Blue," serving as co-producer on the latter effort. He decided to school himself on the music of Evans, and became the first outsider granted access to the composer's archives by the Evans family. As with Schneider's own albums, "Centennial" was financed and distributed through the crowdfunding platform ArtistShare. You can learn more about Truesdell's labor of love -- and buy a disc or download, of course -- at the website's Centennial Project page.